Our horror/sci-fi ‘Await Further Instructions’ had its World Premiere in Chicago last week at the Cinepocalypse Film Festival, and we are proud to share that it went on to win the Audience Award. 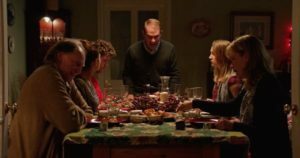 This dark and twisted tale starts on Christmas Day, the Milgram family wake to find a mysterious black substance surrounding their house. Something monumental is clearly happening right outside their door, but what exactly – an industrial accident, a terrorist attack, nuclear war? Descending into terrified arguments, they turn on the television, desperate for any information. On screen a message glows ominously: ‘Stay Indoors and Await Further Instructions’. As the television exerts an ever more sinister grip, their paranoia escalates into bloody carnage. 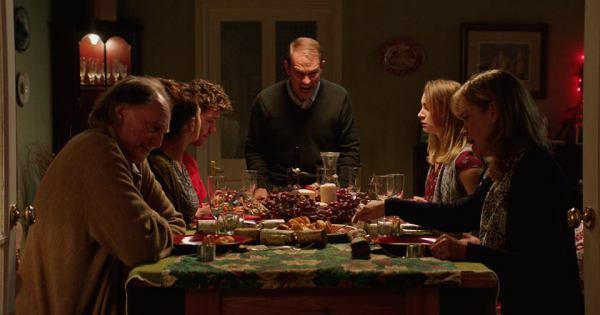 There have been many positive reviews, one from the Daily Grind House said “…Await Further Instructions is a fantastic siege horror film with a brilliant twist, and is well worth keeping a look out for…”. ‘Await Further Instructions’ next festival appearance is its European premiere at Frightfest London, the UK’s largest genre festival.